Portfolio Analysis… what does it mean? Like most things in life, in order to succeed, one needs to understand and then implement. It is no different with successful portfolio analysis. After the initial portfolio has been constructed, the investor must update, monitor, and adjust the portfolio to make certain the portfolio will meet their needs and long-term goals. Examination of an investment portfolio requires up-to-date holdings information. This examination relies on understanding the characteristics of each holding, and how these individual holdings are expected to react to one another, and the market as a whole. Then the investor must rely on meaningful portfolio reports so the analysis can include type/purpose of the portfolio, asset class mix, sector and company size analysis and cost basis information. Investment Account Manager stands out with these essential reports. The portfolio’s suitable mix is determined by the investor’s risk and return appetite. These determinants change over time due to changes in financial condition, needs and age. Market conditions also change frequently, providing tactical opportunities for the well informed investor. Therefore, a periodic review process must be in place to help assure the portfolio stays consistent will long term goals and needs. Investment Account Manager allows portfolios to be classified by investment objective, and compared to a group of benchmark portfolios. Having the portfolio information up to date allows investors to compare current portfolio holdings versus targeted goals. The investor must decide if any adjustments are necessary, i.e., the current balances versus the target balances need to be reviewed. When portfolios target allocations are established, an allowed variance from the target should also be considered. These tolerance bands will allow you to identify current allocation percentages in relation to targeted goals, and as necessary, what if any rebalancing is required. Upon review – at least completed annually – investors must determine what action is necessary, and which alternative investments should be considered. It is the investor’s job to maximizing return for the accepted risk tolerance of the portfolio. Utilizing security watch lists will help the investor with this important task. Watch lists provide alternative investment lists to use when building or modifying existing portfolios. Investment Account Manager allows for multiple watch lists to be used to track a specific asset class or sector. – i.e., short-term bond funds, technology stock watch list, mid cap growth watch, etc. These provide the “buckets” of opportunity to help the investor do a better job in selection and in timing. The portfolio type also plays a major role. Is this a tax deferred retirement account, or currently taxable account? 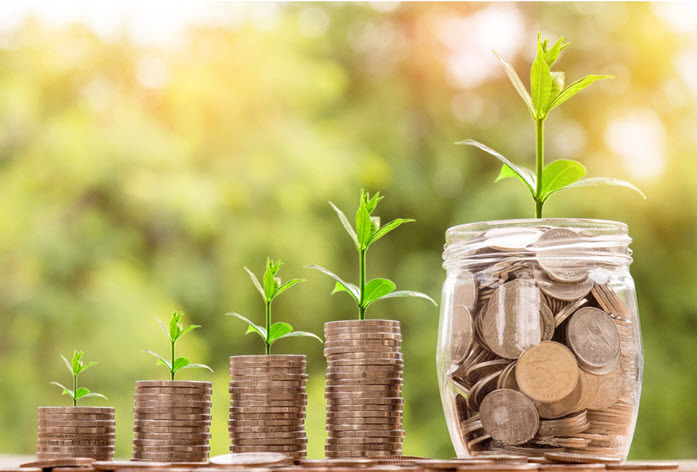 Tax efficient investing, that is the ability to generate returns while minimizing tax consequences, dictates which kind of investments are held in which accounts. For instance, since tax deferred accounts pay no current investment taxes, these portfolios are likely holders of income producing assets. On the other hand, currently taxable accounts must focus on the differential between long and short term holding periods, as the tax rate on different types of gains varies greatly. It is equally important to understand the “big picture” when analyzing portfolios. Known as Unified Account Management, this ability allows the investor to thoroughly understand how portfolios overlap. Investment Account Manager provides for collective reporting, allowing great flexibility in creating reports covering single, multiple or all of your investment accounts for aggregate reporting and analysis. The asset classes’ composition within a portfolio will be the major determinant of the portfolio’s performance and risk. This is due to the fact that assets within the three major asset classes – cash, stocks, and fixed income – demonstrate similar characteristics, but do not usually correlate with the other asset classes. The more risky the asset class, the greater required return is desired to compensate for the extra risk. So, the art is to combine the assets in a fashion to meet the investor’s strategic goals (Level 1 Allocation analysis within Investment Account Manager). Substantial importance is given to a portfolio’s sector and size diversification too. The S&P currently classifies securities within 10 unique industry sectors. Securities are also categorized by size as determined by annual sales. Once again, this is due to the correlation of like-kind securities. Even though most all stocks will decline in a bear market, during other periods, different sectors and sizes perform differently. Investors often take advantage of these sectors to rotate in and out of these driven by differences in perceived values. This is known tactical asset allocation (Level 2 Allocation within Investment Account Manager). Security selection, i.e. bond and stock valuation, attempts to identify the intrinsic value of the underlying security. Many methods are available to the investor, including interest rate and quality analysis, dividend and earnings analysis, volatility (beta), ratio analysis and more. Investment Account Manager can help here too because fundamental common stock data, and mutual and exchange traded fund composition details is downloaded from QuoteMedia, and provides the investor with essential analysis of securities within their portfolios. Investment taxes are an important consideration, and can perplex even the most skilled portfolio managers. In a taxable account, gains and losses are taxed when realized; not so in a tax-deferred account. Therefore, special consideration to tax implications must be considered in a regular account which may reduce the frequency of rebalancing. This includes dividend/interest income and capital gains and losses, which are taxed differently. For instance, knowing the lot-by-lot basis details provides the investor with an advantage to make smart tax related decisions to help minimize current investment taxes. Investors must also monitor the cost associated with investment decisions making. Fees are classified as transaction fees and/or ongoing fees. For example, transactions fees are charged when executing a buy or sell order; ongoing fees include advisor fees and maintenance fees. While the size of these fees and expenses may not seem to be meaningful, over the long-term they can dramatically affect the portfolios returns by reducing the value of the portfolio. In conclusion, it is the investor’s duty to maximize returns for an accepted risk level of a portfolio. The process requires frequent review of portfolio holdings, allocation, diversification and possible tax and expense consequences. Investment Account Manager can help. Investment Account Manager includes more than 50 informative and detailed reports to help investors make knowledge based decisions. These reports summarize current holdings, unrealized gains/losses, sold positions & realized gains/losses (tax filing), income received (tax filing), capital gain distributions, commissions paid, portfolio allocations, portfolio cash flow projections, tax basis, performance measurements, asset maturity schedule, transactions ledger, fundamental ratio analysis, fund composition analysis by asset type, sector and size, and more.